The Most Colorful Classroom We’ve Ever Seen! What do you get when you mix Ms. Frizzle, Martha Stewart and a passion for teaching children all about the wonders of art? It’s got to be Cassie Stephens, the whimsical and creative elementary school art teacher behind the blog cassiestephens.com. Stepping into Cassie’s technicolor world of handmade dresses inspired by famous works of art, it’s no secret why her students can’t wait to get to class. Today she’s stopping by the blog to show how a recent Spoonflower purchase inspired a complete classroom transformation and a one-of-a-kind outfit to add to her me-made wardrobe. Take your seat and sharpen those colored pencils because art class is now in session! 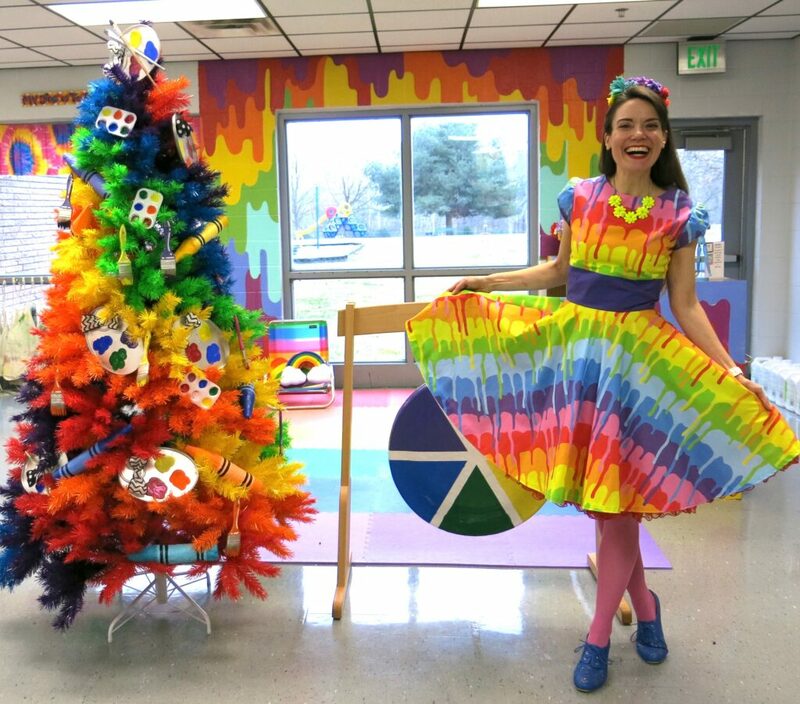 Cassie’s handmade dress featuring Rainbow Paint by dmitriylo inspired a complete classroom transformation! [Read more…] about The Most Colorful Classroom We’ve Ever Seen!